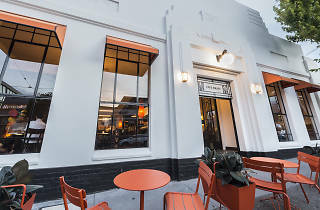 Located in an old brass factory on Richmond’s busy Church Street, Café Brass has become a main player in Melbourne’s competitive food scene. 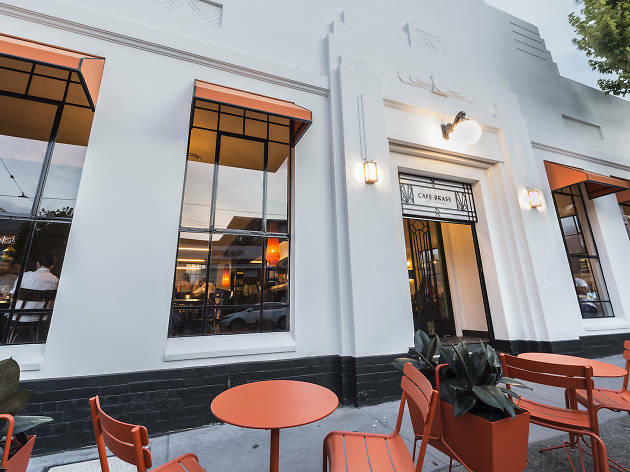 The interior is warm and stylish with an art-deco inspired aesthetic, that hints to the quality and sophistication of the meals on offer. The menu has a distinct European flavour to it with items such as a bouillabaisse, a charcuterie board and the whole roasted poussin gracing its pages. The standard menu is open for both lunch and dinner service, but if you happen to dine between 12-3pm then you can also choose form the lunch specialties menu. Options here include the croque monsieur, tuna nicoise salad and the seared blue eye fillets. Browse the cocktail list after your meal for the perfect drink to end the night on. If you’re an early riser then the place to be is the Kingston Canteen, sibling to Café Brass and home to an impressive and delicious breakfast menu. The café is also available for function bookings with each dining section of the café able to accommodate varying numbers of guests for both sit-down and standing functions, and if you’ve got quite a few people coming to celebrate then the whole venue is available for hire.